The primary transmission route of Zika virus is via the Aedes mosquito. 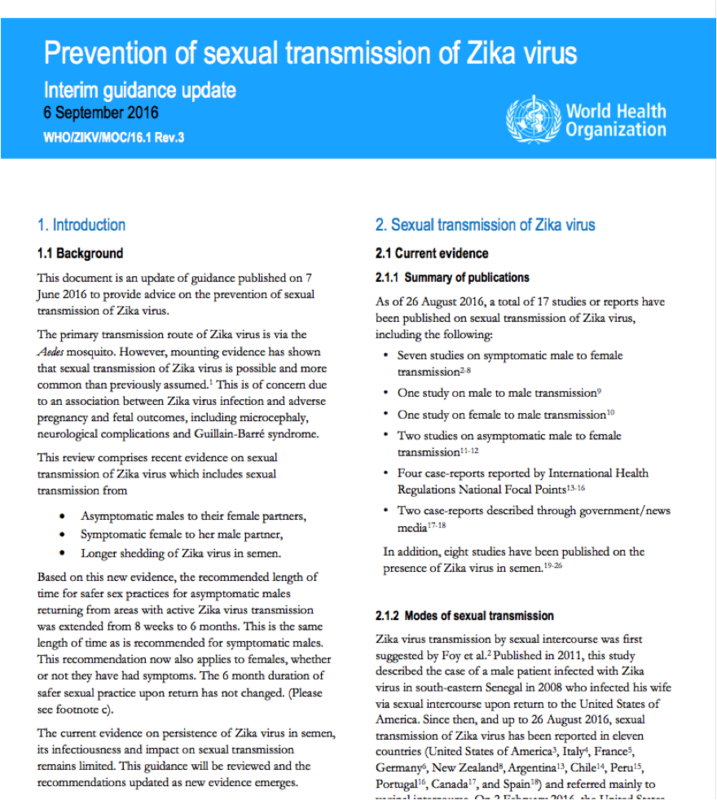 However, mounting evidence has shown that sexual transmission of Zika virus is possible and more common than previously assumed. This is of concern due to an association between Zika virus infection and adverse pregnancy and fetal outcomes, including microcephaly, neurological complications and Guillain-Barré syndrome. The current evidence base on Zika virus remains limited. This guidance will be reviewed and the recommendations updated as new evidence emerges. Link to the document in Arabic, Chinese, English, French, Russian, Spanish, and Portuguese.